Mallard Control Valves are manufactured and assembled in North America with the highest quality of product and service. 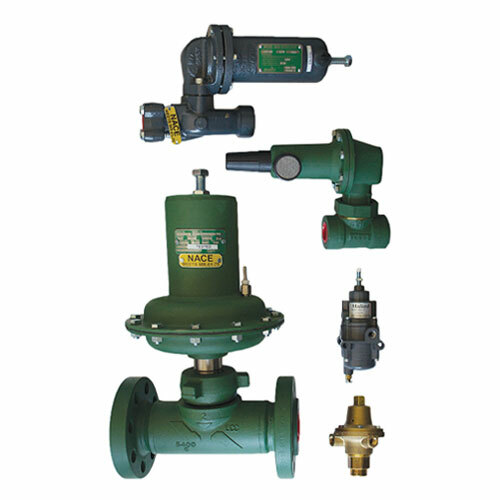 There are four different options for the Mallard Control Valves: Closed Yoke, Open Yoke, Freezeless, and 3-Way. Every customer has a specific application, the four Mallard Control Valves offer a variety of different options. McMath Controls & Automation is gladly willing to help our customers decipher which application will work at the highest efficiency and give the best output with their given specs. McMath Controls also has dump and PSV valves stocked for next day delivery in our Edmonton warehouse. 5600 Mallard Regulators are a spring-loaded pressure regulator which are available in 1” and 2” sizes. They are built to withstand difficult processes and environments. There are both high-pressure and low-pressure models with inlet pressure ranging from 1500 psig and outlet pressures from 3 to 500 psig. The 5600 is well suited for high pressure, high capacity applications. The operating temperature limits range from -29 to 150 F.